Today the public realizes that traditional forms of medicine do not provide all the answers to their questions about health. Many have spent large sums on basic laboratory tests that do not provide the clues they need to solve the problem with their bodies. Now, people are searching for additional testing and screening procedures which can help them and their doctors in healing their bodies from inside, out. This thirst for more knowledge has led to an explosion of the alternative healthcare field. Physicians and healthcare professionals daily treat the ravages of an inappropriate diet. One of the most frequently asked questions they hear is: "How does my diet impact my health?" Patients are keenly aware that the fuels they put in their bodies powerfully impact their mood, metabolism, even their mental health. People today are searching for clinical answers to tell them what to eat in order to give them a competitive edge. HTMA is an additional source of clinical information that can assist in answering this enormously popular question. Its geometric growth among health care professionals is testimony of its importance to current medical practice. Trace Elements, Inc. seeks foreign distributors who would like to participate in this growing world-wide trend. 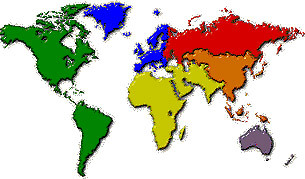 Trace Elements currently has distributors in Scandinavia, Eastern and Western Europe, Central and South America, Asia and the South Pacific Region. As a result of these successful distribution partnerships, Trace Elements has the knowledge and experience to better support those qualified individuals and small companies that now wish to take advantage of the significant growth that is being experienced in the alternative healthcare industry. These agreements provide for exclusive territorial distribution rights. For individuals, health care professionals and small companies with the experience of working closely with other health professionals, a very valuable service can be provided where it is not yet available. Copyright 2004 - 2017 | Trace Elements, Inc. | All rights reserved.